Weekend weather is wild across the U.S. They say variety is the spice of life, and if that's the case, Mother Nature is leading one spicy life this weekend in the United States. From coast to coast, you'll find everything from severe thunderstorms and flooding to extreme heat and maybe even a tropical storm. 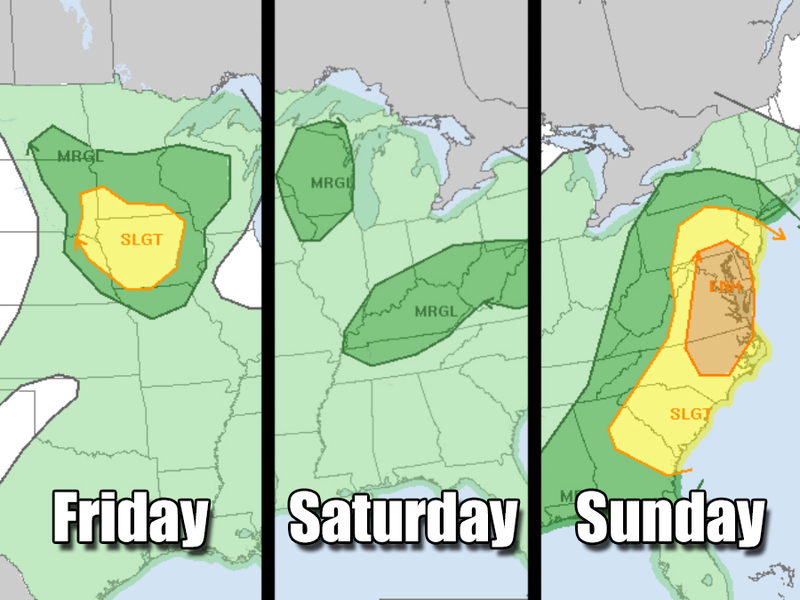 The severe thunderstorms are most likely to travel from the Plains and Upper Midwest on Friday before reaching peak strength as they hit the East Coast on Sunday. The Southwest is getting its first taste of extreme heat this weekend as parts of Nevada, Arizona and southern California will see temperatures easily make their way into triple digits on Friday, Saturday and Sunday. The National Weather Service has issued excessive heat warnings for the entire weekend across most of the region. 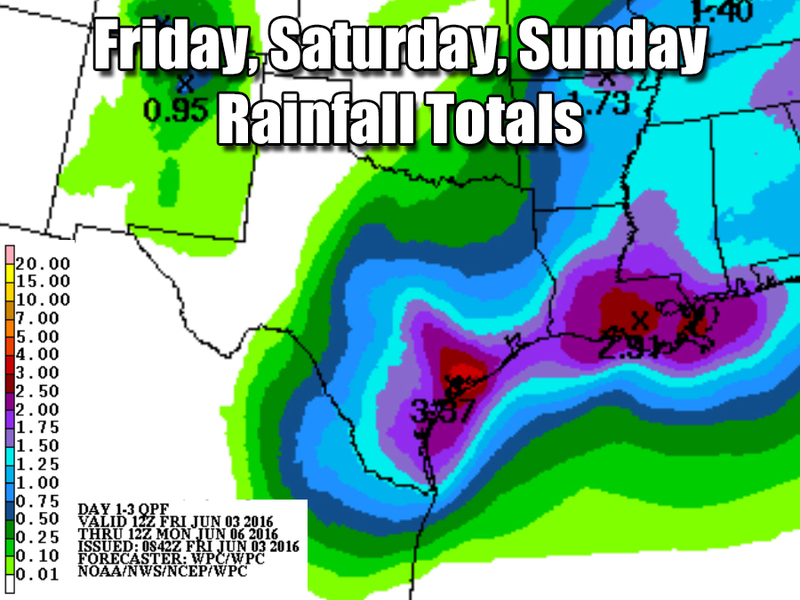 Texas, meanwhile, has been dealing with severe flooding all week, and they're not getting a break soon with a lot more rain on the way throughout this weekend. 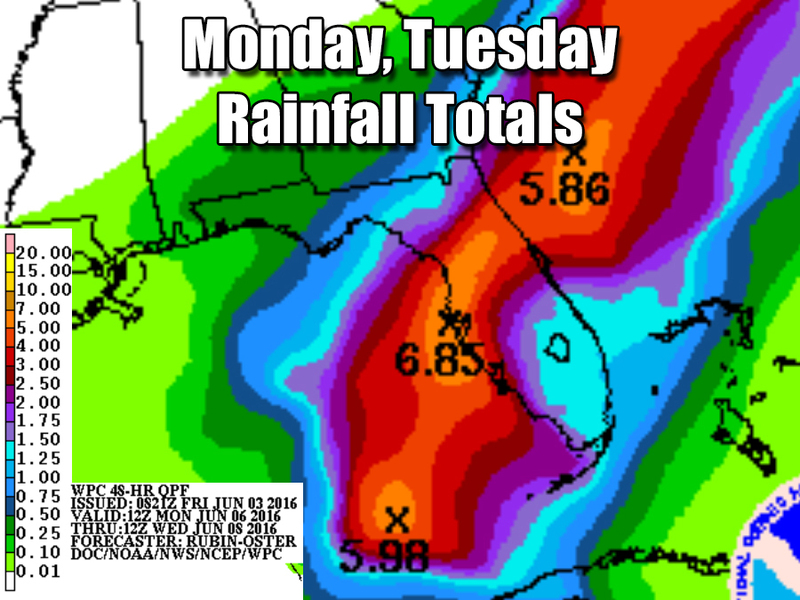 Florida will also see a good amount of rain, but probably not until Monday and Tuesday of next week. That's because something is brewing in the Gulf of Mexico. 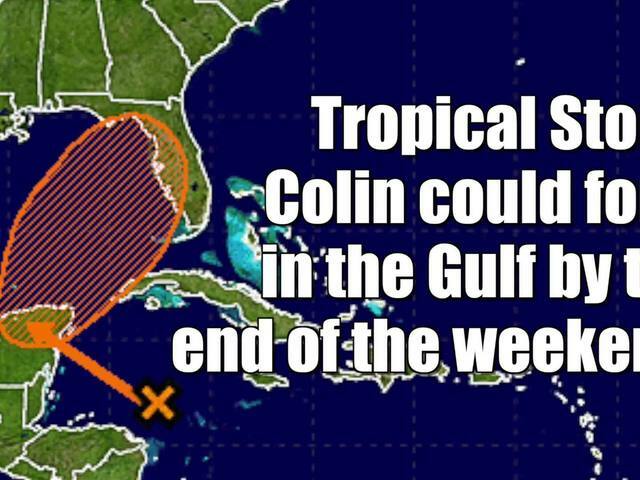 It could become Tropical Storm Colin — the third named storm of the season — by the end of the weekend. It's a wide variety of weather across most of the country for most of the weekend. It seems Mother Nature knows how to have a good time this first weekend in June.